The location is fabulous! On the Oak Creek; it has terrific views; hiking is out your door. Red Rock State Park is not to be missed! It is 10 minutes away. The “cabin” is simple and rustic. Appropriate for by gone days. It provides a western feeling, but can be spruced up. The kitchen amenities are dated, but one can make many meals. All in all a great experience. 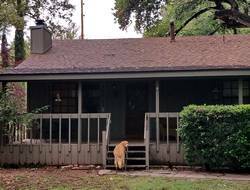 This dog-friendly, rustic cabin is in a quiet neighborhood and within walking distance to hiking trails, which met my criteria for a four-week hiking vacation in Sedona! The kitchen was well equipped. The cabin was immaculate. The bed was comfy. Karen was most responsive to all my questions, which was greatly appreciated. The Creekside Cottage was ideal for my husband and I and our golden retriever. Every morning we walked across the street to Crescent Moon park and had the whole place to ourselves with amazing views of Cathedral Rock. Access to the creek is just a few minutes walk and our dog was in it everyday, rain or shine! We were celebrating our 25th wedding anniversary and the cottage was perfect for a cozy evening in front of the fire or preparing a meal. The bed was comfortable to sleep in, good water pressure in the shower and the location is great. The neighborhood is very quiet but not far from town. 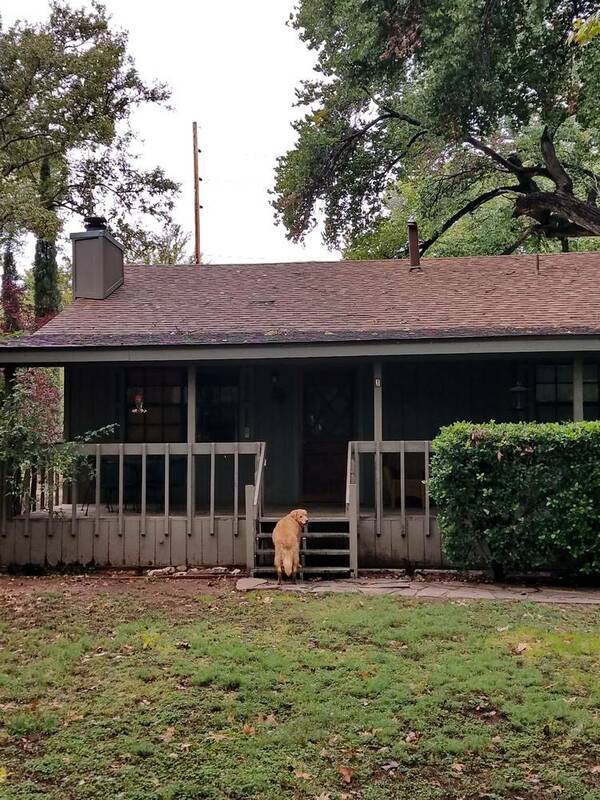 The cottage is older and the furnishings are not fancy but it is comfortable and clean and we really enjoyed our stay in October 2018. My family just returned from a week at Creekside Cottage, It was our first time in Sedona and we had a great time. The house was perfect for us and our 2 sons. The view and access to the creek and Cathedral Rock were amazing. We hope to return. Just a short note to say how much we enjoyed Creekside Cottage!! 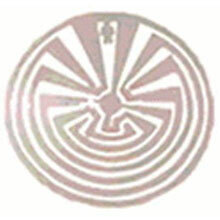 The accommodations were great, the location was perfect, and we thoroughly enjoyed the Sedona area. We only wish we could have stayed longer! We will be sure to recommend Red Rock Realty to any of our friends who may be coming your way. This is a super location! 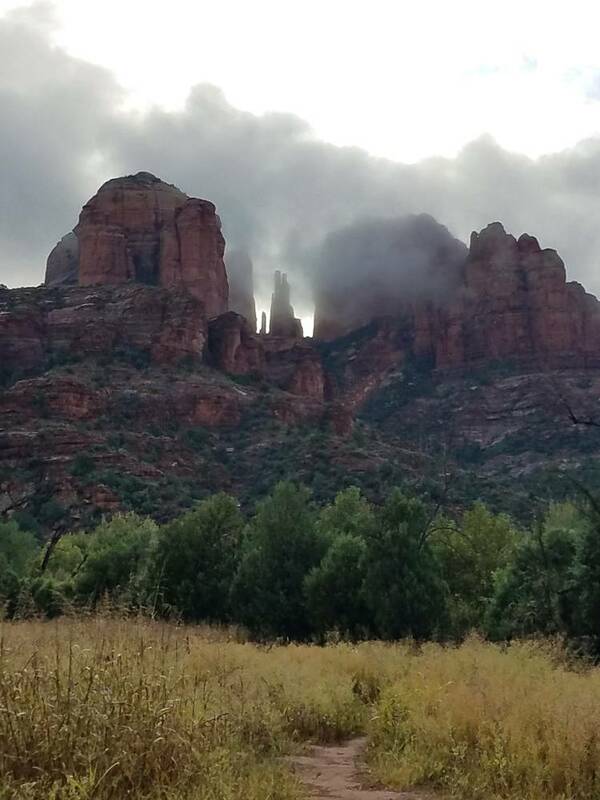 We are outdoors people and having the creek and trails so close was a dream Sedona visit! We really enjoyed hiking to the top of Cathedral Rock without even getting in the car. Cannot wait to return in the summer to take a swim in the creek. We recommend this cottage to anyone seeking a quiet country retreat. Cute. Cute. Cute. We loved Creekside Cottage. Thanks for the tips on where to walk. Return is our refrain! We so thoroughly enjoy our "home in Sedona" known as Creekside Cottage, we return and return staying for weeks at a time to be able to walk out the door and hike the trails along Oak Creek. The video (on YouTube) says the creek is a couple minutes away when in reality it's maybe all of a minute if you're taking your time. This place is great. Well set up. I loved the fireplace. All amenities provided. The home even has a back screened in porch where the full size washer and dryer are kept. The back porch boasts a table and chairs, so you can have breakfast outside. The house provides everything you'll need when you are looking for the perfect extended stay right next to Oak Creek. Loved it. I'd stay here again. We had a fantastic stay at Creekside Cottage - The location was perfect for us as we didn't want to be in the middle of town and liked the peace and quiet of being so close to Oak Creek together with walkable access to lots of trails! Other than Crescent Moon Ranch that would get quite a few visitors every day the trails were all pretty quiet! 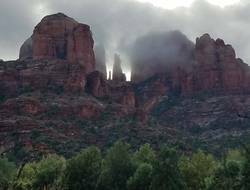 It took us 2 minutes walk from the Creekside Cottage to get to Oak Creek and have the most spectacular view of Cathedral Rock. It was also great to take our dogs with us and we shall for sure be back! My sister and her husband shared the Creekside Cottage with my husband and me for a week. We loved everything about this rental. 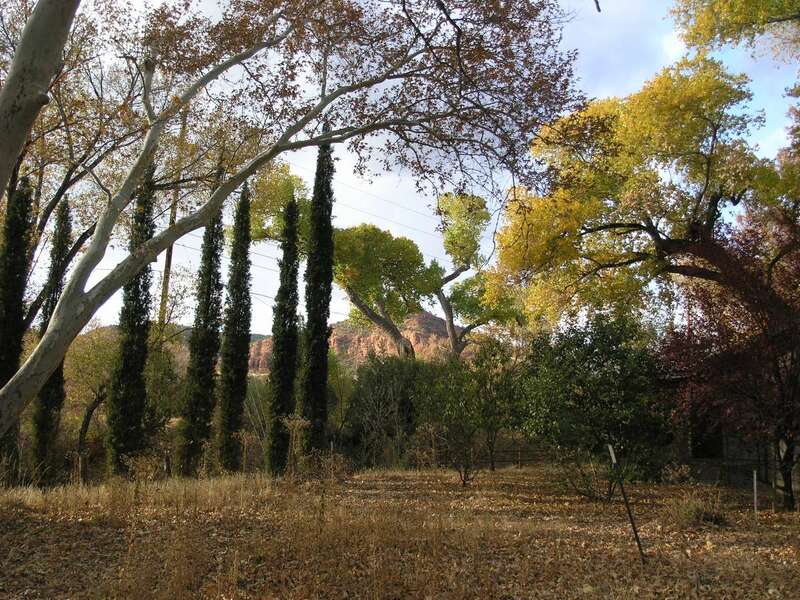 It is just a short 5-minute scenic drive into Sedona. There is a quick walk over to Oak Creek and the Crescent Moon Picnic site with beautiful views of Cathedral Rock. The kitchen had everything we needed to cook our meals, plus we loved having an outdoor gas grill. The beds were very comfortable. The living area was the perfect size for the four of us. We enjoyed sitting on the front porch in comfy chairs in the evenings. We appreciate all of the work that went into making this rental a home away from home for our stay. I do hope we get another opportunity to return!